Is Farmers Only A Joke? Read our reviews before you sign up! | Does it Work? An online dating site that targets people living on farms might sound like a joke to you, but it’s serious business for 2 million people. We couldn’t resist researching this for you! Farmers Only is an online dating site which brings together people that live in rural areas and hard to reach locations. While some people find it funny, others have had a completely genuine experience. We’ve heard of people actually getting married this way. Rumors go to the extent of one wedding per week through this site. 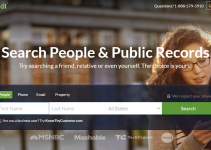 Before we go any further into researching this dating website and if it works, let’s see how it came to be. According to our facts, Farmers Only was founded by Jerry Miller. Jerry had a friend that got widowed and since she lived in an isolated area, she found it hard to make new relationships. This gave Jerry the idea to create an online dating site that would help farmers communicate. Sounds like a noble reason to us. The thing is, although we liked Jerry’s story, we still felt suspicious by nature. Aside from the goodness of his heart, there had to be another angle. This dating website has attracted the attention of stars like Ellen DeGeneres and Carrie Underwood. One of his TV commercials was watched over 1.5 million times. It features a talking dog, horse and a lonely farmer. His membership totals over 2 million people. Seems like Jerry is doing great for a noble personality. This is why our Doesitwork team decided to investigate further and discover everything you need to know about Farmers Only. The good, the bad and the dirty. Read this article to find out if FarmersOnly.com is real and does it work. Farmers Only will give you access to other lonely people such as yourself. Some people live in rural areas that are not really populated, or they find it hard to communicate. The dating site for farmers solves that problem. It is a real site, it has worked for several years. Aside from meeting each other, some people end up getting married through it. Our team absolutely supports the quest for finding a true partner, and we appreciate that some people find it difficult to communicate. Especially if they live in hard to reach rural areas. But the question remains, can you rely on this dating service? Are there any hidden demands or false promises? Our Doesitwork team spent the whole weekend researching everything you need to know before signing up. Find out what we discovered when reviewing Farmers Only. How does Farmers Only work? The trick is, in order to be able to actually communicate with people and send private messages, you’ll need to pay for a Premium Membership. And there you have it, the hidden cost. Just in case if you were wondering – is Farmers Only a free service? Nope, not at all. It comes with a price. We discuss the price and all the connected costs a bit further down. What kind of people register on the site? While the website doesn’t specifically ask you to have a rural background, it does attract that kind of folk. Most of the time you’ll find friendly and polite people that are looking for friendship and romance. Out of the 2.5 million people visiting the website each month, 95% are from the USA. 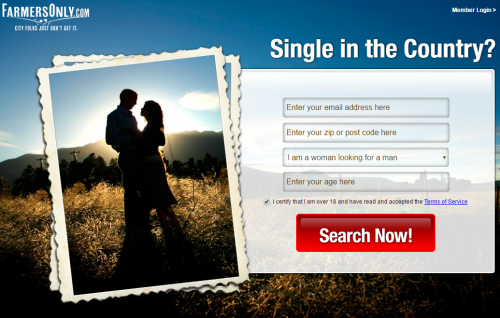 It is an incredibly popular rural dating service that offers a simple and straightforward user experience. How to register for a rural romance? Once you start interacting with the website you’ll find there are plenty of options and games. This helps people relax and find a better match at the same time. If you do find someone interesting you will have to pay to play. Don’t forget that and don’t consider this dating service free. How do you communicate with other members? Aside from the free games like include hot or not, you will need to pay for a premium membership in order to be able to text a person. The website features a FarmPhone secure texting option. This option allows members to text each other while keeping their phone number private. They also use encryption software and other new age tools to keep all those farmers safe. Getting just a taste of the website is free. You can sign up, register and even send a flirt notification to someone you like. This can be considered a chance to give this a try without involving yourself too much. Once you DO know you wish to stay and pursue rural dating, you’ll have to whip out $21.95 per month. They offer certain flexibility, meaning if you pay for more months upfront you’ll get a discount. For 3 months, you’ll save you 10%, 6 months – 55%. So a yearly subscription would be $131.90. The third level of paying for romance is their Gold level membership, where you’ll be able to answer members that hold free accounts. This pleasure costs an extra $9.99 a month, on top of the Premium charge. Make sure you understand they automatically bill your card, so if it doesn’t work out, cancel the subscription in advance. The thing is, most people report having trouble cancelling their subscription. We cover that in the Consumer Reviews section further down. Is it just for farmers? It is definitely marketed as such. Cowboys, cowgirls, ranchers and farmers are welcome to attend. The main point behind creating this site was for rural people to meet. Especially the ones that live or feel isolated. Is there a gay section? The claim is that they welcome everyone, no matter their preference. They also ask for a fair code of conduct, discouraging harassment attempts, politics, and religion and race conversations. They seem to keep a pretty high level of etiquette for rural folk. In reality you won’t find many black farmers on the website. This website does have a reputation of being only for white people. Does Farmers Only have an app? Dating a farm boy is made super easy with the android and apple apps that you can download from your mobile device. It’s only unfortunate the android app doesn’t really work. People report the android app crashing all the time. The apple app is definitely better, people seem to really like it. We did see some in-app purchase offers ranging from $19.99 to $59.99. Is it free? Nope, not really. The website claims you get a free service. What you really get is a sneak peek. If you actually wish to be able to utilize anything on the website, you’ll have to pay. We have to admit, there’s great interest in this website. People sign up hoping to get a free service, and to meet some folks with a similar background. Some people find love and even get married using this website. Others feel betrayed because they end up paying more than they wanted to. The stories are different and range from pure satisfaction to rage. Maybe if people were aware of what the cost is going into this, there would be more positive reviews. No need to say it – Horrible customer service is a part of no one’s romantic dream. Similar to getting into a relationship, people are signing up for this website, not really knowing what they’re getting into. It is also very difficult to end this relationship, if you’re not satisfied. And you might lose some money. Or you might find the love of your life, and live happily married, raising some horses on the farm. Farmers Only does serve its primary purpose, it brings people together, and some even find true love. But the truth is, there are a few hidden costs and complaints on BBB.org regarding bad experiences, that we have to say in the end – this website is not a joke. 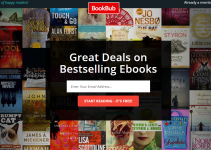 Bookbub reviews: is it really legit and safe for you? 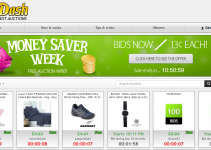 Deal Dash Review: Scam Or Legit Penny Auction Site?